“I am a strong proponent of institutional memory,” Robert Fisher began, sitting at the head of the table in the OLIP office. In order to understand the Queen’s Park of today, it is necessary to understand the Queen’s Park of decades past: a world of political giants like John Robarts and Bill Davis, a time when increasing numbers of trailbreaking women were breaking into what was very much an old boys’ club, an era in which the public knew provincial politics mattered and the press gallery was consistently full. And who better to talk to us about the complex histories of Queen’s Park than veteran broadcaster and reporter Robert Fisher? His career spanned 49 years, including a long stint at Queen’s Park. In the 1970s he was working in Quebec and was the first to announce the kidnapping and later death of the province’s Labour Minister, Pierre Laporte, at the hands of the FLQ. From 2000 until his retirement in 2015, Fisher provided political analysis for CBC, anchoring that network’s Ontario election coverage in 2003, 2007, 2011, and 2014. Enigmatically non-partisan, Fisher has received invitations to run under the banner of political parties from across the spectrum—which he declined. Fisher shared with us a number of vignettes from his career covering politics in Ontario, many of which were humourous. For example, in the pre-Internet era, journalists covering political campaigns in remote corners of the province had to go to some pretty extreme lengths to file their stories on time. This process often involved: recording your story in a bathroom, storing it in a grapefruit bag, and bribing a pilot to take it back with him to Toronto. Other anecdotes were specific to former parliamentarians: Frank Miller liked to tease Fisher about his yellow socks; enthusiastic voters occasionally asked David Peterson to sign their loafers; once at an official event Pierre Trudeau changed into a teensy-tiny speedo and dove into the hotel pool, stunning reporters. Some of Fisher’s recollections were more serious. He wrote his master’s thesis on the experiences of female MPPs at Queen’s Park, ultimately reaching the conclusion that the presence of women makes a real difference in political decision-making—for the better. 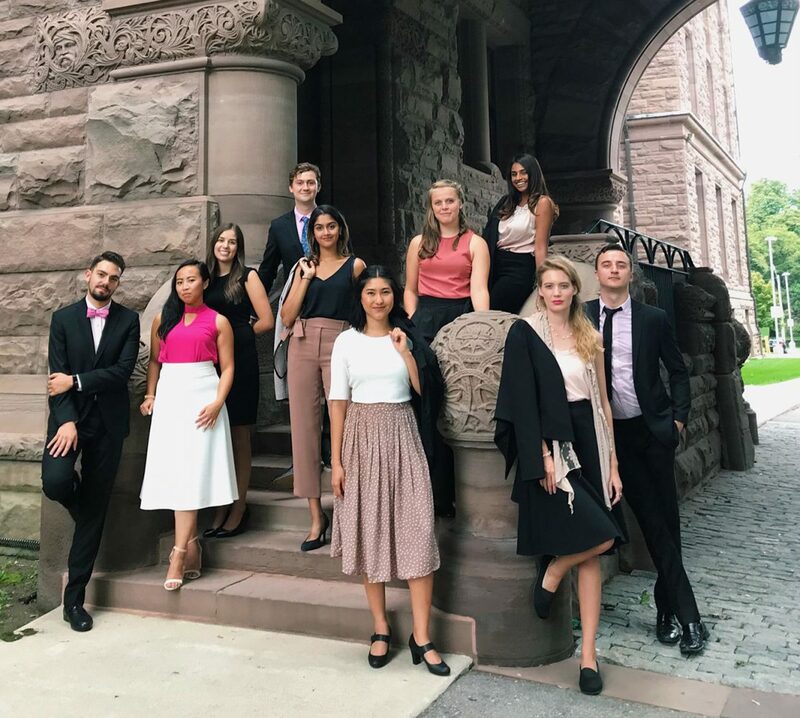 While Queen’s Park may have become less of an old boys club over the years, female politicians still experience unique challenges because of their gender. According to Fisher, the nastiness of online vitriol now directed towards female political leaders is unprecedented in the Ontario political context. We were the 32nd OLIP cohort to have the pleasure of meeting Robert Fisher. His dedication to the program resulted in him being named a “Honourary Intern,” and we can say that—without a doubt—it was an honour to meet him.